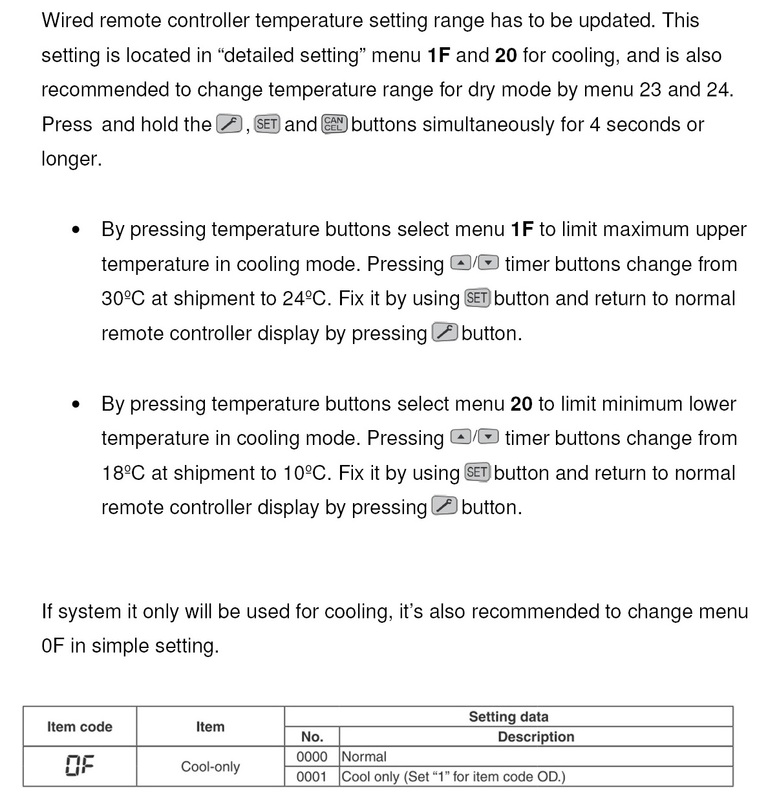 Did you know that one of the key features of the Panasonic PACi range is the ability to adjust the settings for special applications that require cooling to maintain rooms between 8-24ºCWB (10-30°CDB). Typical applications include wine cellars, ice cream factories, flower shops, gymnasiums and food preparation and storage rooms. In order to apply these systems it is necessary to oversize the indoor units as per the table below. As the combinations and conditions aren't factory standard it is necessary to adjust settings to configure the system to operate in these applications. In order to do so you will need a standard wired controller CZ-RTC4. As this is not a standard combination we need to program the system to ignore system capacities. Every outdoor unit PCB contains a jumper JP001 the location of which is depicted in the techical bulletin, linked at the bottom of the article. Cutting this means the outdoor will ignore capacity codes. 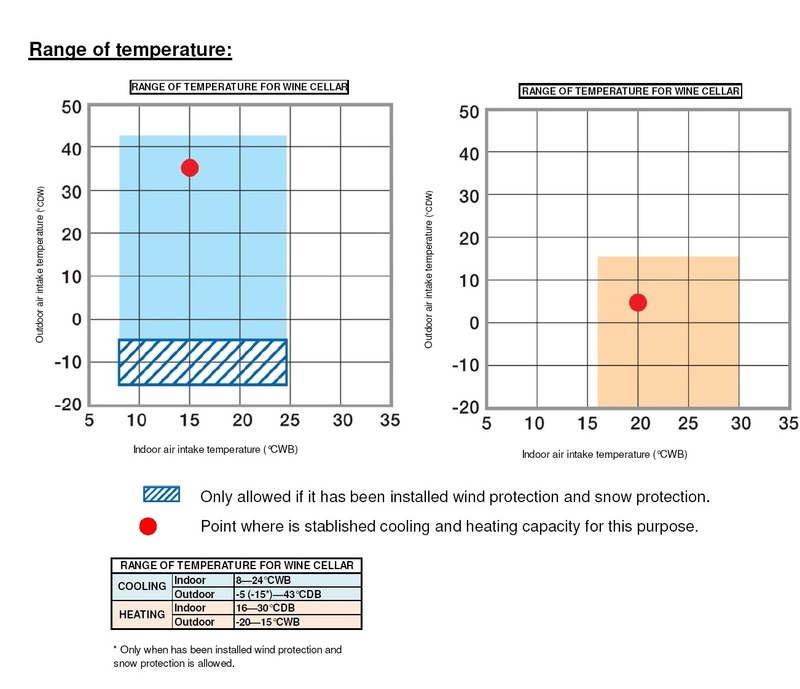 Due to the lower than usual air off temperature there is potential for condensation build up on the indoor unit louvers and grilles depending on the unit type. Therefore it is recommended to use a base pan or another solution to collect the water. Panasonic will not accept liability for any damages caused as a result of condensation. Due to higher running hours to maintain cooling temperature, maintenance and filter cleaning processes have to be carried out more frequently. PACi systems cannot control relative humidity, but can manage ON/OFF external humidifier if it is needed by using additioning settings within the indoor unit. These applications are not tested under ErP regulations therefore there are no official capacity and consumption tables or energy labels available.